The folding of the Indigenous Relations portfolio into another department in Doug Ford's new administration has alarmed First Nations advocates, who argue it shows reconciliation is not a priority for the new premier. Doug Ford's early days as Ontario premier have left a young Indigenous activist sad, angry and calling for people to recognize the harm being done to Indigenous communities. Ford merged the department for Indigenous affairs into a new Ministry of Energy, Mines, Northern Development and Indigenous Affairs, disappointing those who have called for its preservation. Educators were also frustrated when a curriculum writing session — to bring more Indigenous knowledge in Ontario classrooms — was cancelled at the eleventh hour last week. 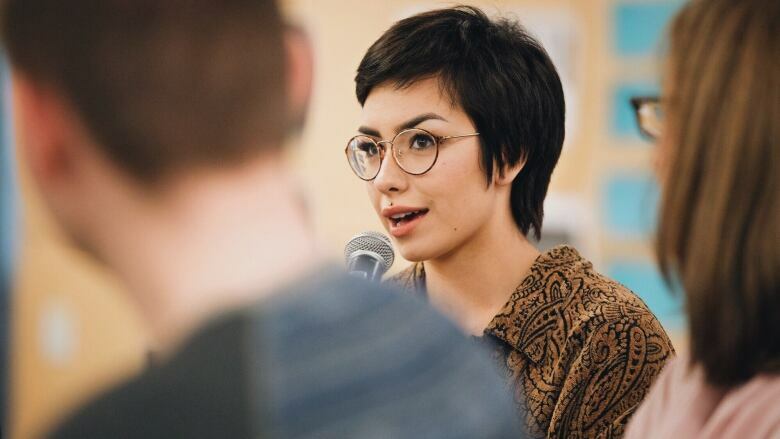 "These were just two examples in a matter of weeks of how reconciliation was not a priority," Riley Yesno, an activist, student and member of the Prime Minister's Youth Council, told The Current's guest host Duncan McCue. Read more from their discussion below. You had some reservation about what a Ford administration might mean for Indigenous rights and relations in Ontario long before election night. What were you hearing on the campaign trail that gave you concern? What I was hearing on the campaign trail that kind of evoked concern for me was nothing. I was hearing nothing about Indigenous rights, I was hearing nothing about the prioritization of this administration for reconciliation. And I was hearing a lot about other aspects of politics that aren't necessarily helpful to increasing the vitality of my people. So that immediately was a huge red flag. In a matter of weeks the Ford government just cancelled the Indiginization of the Ontario curriculum and dissolved the ministry of Indigenous relations.<br><br>If you voted for Doug Ford you voted against reconciliation and you are not an ally. A couple days ago you tweeted and I'm quoting here: 'If you voted for Doug Ford, you voted against reconciliation and you are not an ally." You took some heat for that? I did. People didn't like that very much. But you're standing by it, I understand. Why's that? 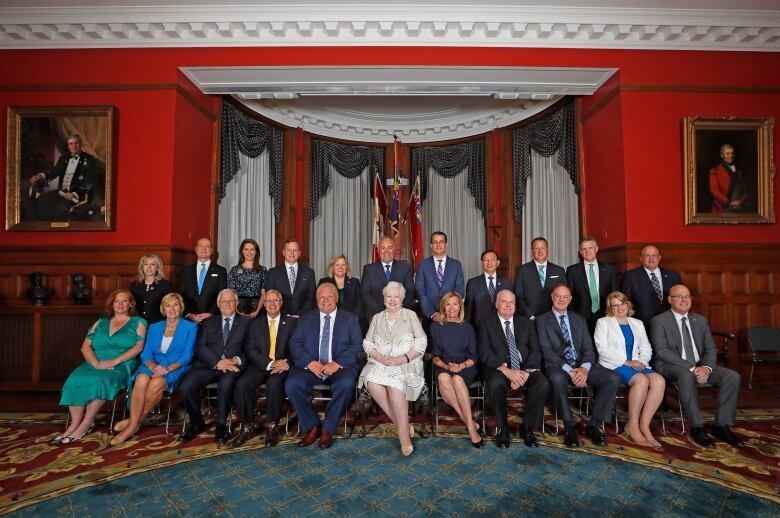 I have to preface this by saying … I do not think that Doug Ford, the minister of education or anybody got in a room and said: 'Let's cut TRC curricula, just to thwart reconciliation efforts. I don't think they sat there and said, "What can we do that will disadvantage the Indigenous people the most?" But that doesn't change the fact that that is the very real implication of that decision. And they're smart enough and well-versed enough and have the contacts and the relationships to be able to know that. As a voter, you vote for whatever party and whatever leader best represents your values and your priorities as an individual. As an Indigenous woman, I would never be able to trust that. If you still stand by your votes, seeing these things that the Ford administration has done, and you still stand by your decision to vote for them and support them as a government — that you would not put my safety and my vitality and my prosperity above creating more jobs, or above lower taxes. What do you make of this combination of energy, northern development, mines and Indigenous affairs? Amalgamating those two departments specifically sends a very clear message to Indigenous people about what the Ford government sees as we being useful for. It's interesting also that they drop the word reconciliation from the previous department, which just indicates once again that reconciliation is not a priority. Doug Ford did promise when he was on the campaign trail that he would look into resource revenue sharing to ensure that First Nations had benefits if there was development in their territories. 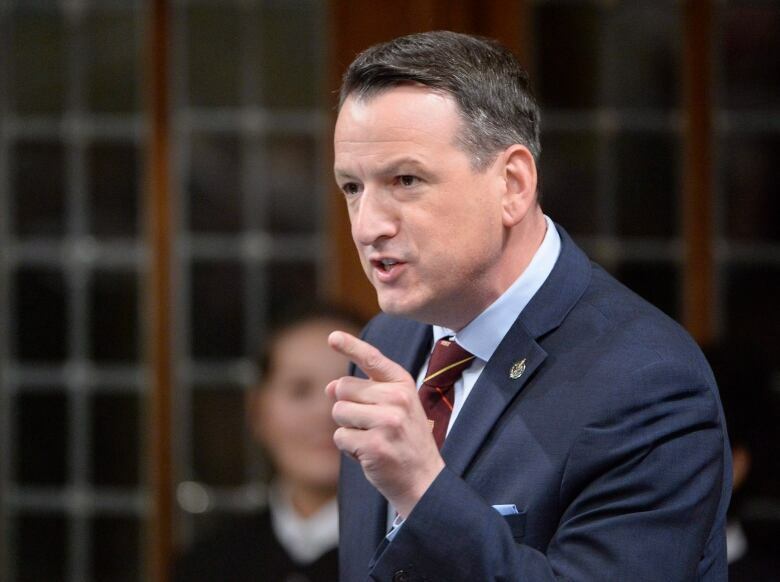 The minister in charge of those portfolios, Greg Rickford, does have experience working with Indigenous and remote northern communities. The new leader of the Chiefs of Ontario, RoseAnne Archibald, told the Ottawa Citizen that she believes Rickford is quote: 'By far the best choice to work with our peoples.' Does that give you any comfort? Yeah, totally. It does. I know Rickford comes from Northern Ontario, where this development would be happening. That's really great because a well-trained eye at the area is always good and the more interaction that you've had with Indigenous people in your life would give you a better understanding of what their priorities are. I also know that the people in those communities — leadership in northern communities are strong — and they'll be able to stand up for themselves. They'll be able to fight for what they need. I think that there is hope to see something good come out of it. I just feel that there is a gap to be bridged because of the lack of trust that has already been shown in and been felt so early in this administration. Greg Rickford, minister for energy, northern development, mines and Indigenous affairs, as well as his parliamentary assistant, Sault Ste. Marie MPP Ross Romano, did not respond to The Current's request for comment. This interview has been edited for length and clarity. Listen to the full discussion near the top of this page. This segment was produced by The Current's Jessica Linzey, Richard Raycraft and Samira Mohyeddin.